Credit card debt can drag you down and prevent you from living a better life. Many people do not have debt on just one credit card but rather several. This debt may be combined with other forms of debt such as student loans, car loans, personal loans, and a home mortgage to weigh down a person’s budget. 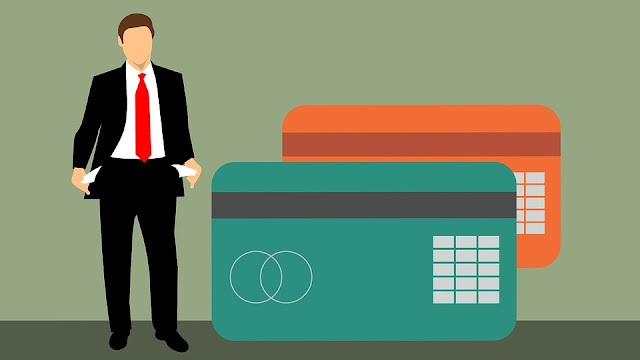 Credit card debt, however, generally has a higher interest rate imposed on it than other forms of debt, and interest rates in excess of 20% are common. Some people who carry high balances on their credit cards pay several hundred dollars per month in interest alone to their credit card companies. Because of this, many people who want to get out of debt do opt to begin paying off their credit cards first. In order to pay off credit card debt in the fastest way possible, you do want to put as much money as you can towards your monthly credit card payments. Taking time to analyze your budget and cut back on expenses is a first step towards paying this high interest debt off. The more money you can free up now equates to less time overall to pay your debts off. So consider eliminating cable TV, cutting off your home phone service, avoiding eating at restaurants, and more. Your goal should be to live below your means. This can be tough to do, but once your debts are paid off, you can consider adding back some of those luxuries that need to be cut today. If you have one credit card, then take every extra dime you can find to pay as much of that debt down as you can each month. If you have more than one credit card, you will need to make a decision about which card to tackle first. Many people opt to pay down the card with the lower balance first, as it will take less time to pay off. If your accounts are fairly equal with regards to outstanding balance, consider targeting the account with the highest interest rate first. After your credit cards are paid off, you can then tackle other debts like your car loan, your student loans, and more. Keep in mind that by paying down more of the outstanding balance that is owed each month, you pay less the following month in interest. The process of paying this debt down does increase with time. You will notice that as you pay your outstanding balances down, your minimum monthly payment on your credit card accounts decrease. However, you do want to keep your payments the same rather than decrease them. By doing this, you will notice that more and more of your outstanding debt is paid off each month. Further, once one account is paid off, take the money you had been applying to the monthly payments on that account and put that money towards paying off your next debt. It can be slow and even rather frustrating to start paying down debts, but you will find that over time the momentum builds. By following these steps, the process of paying of your credit cards and even other outstanding debts will be faster and easier for you to accomplish.